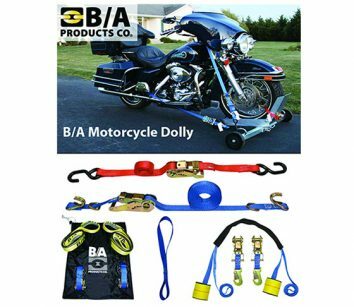 B/A Products offers a variety of motorcycle towing items to fit any need. 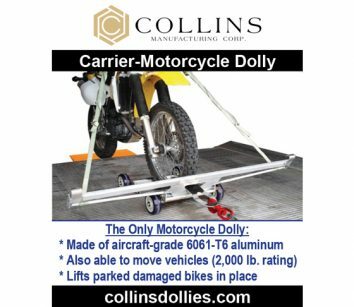 We manufacture everything from cycle dollies to tie-down straps and accessories. We sell through distributors worldwide. For more information call 800-327-3301 or visit www.baprod.com. 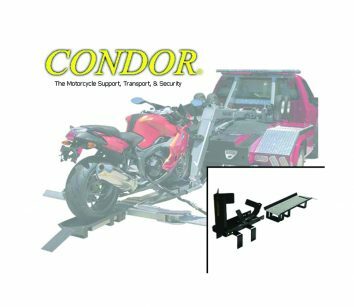 Condor’s Self-Loader is the perfect tool for recovering any motorcycle with a wrecker self-loading truck safely, securely and easily, and it requires only a single operator to do it. Fits the most popular models from Century, Dynamic, Jerr-Dan, Vulcan, Chevron and Recovery Solutions. Breaks down for easy storage. 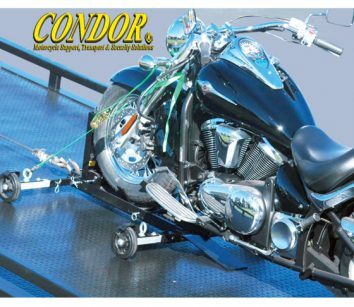 Call 800-461-1344 or visit www.condor-lift.com.